Republic of Guinea Bissau is located in West Africa. Its GDP per capita is the lowest in the world. Fish, cashew nut and ground nut are main items of export. There are a lot of organizations offering you modest parcel delivery to Guinea Bissau so picking the best alternative that is most suitable to you could be tiring. We just send your packages through huge brand organizations like DHL, TNT, Fedex and Aramex. Our years of service alongside the day by day heap of shipments that we convey utilizing these organizations provides for us the arranging force to get the best rates for your package to Guinea Bissau which is overall not conceivable in the event that you get in touch with them specifically. For any inquiry in regards to your shipment to Guinea Bissau don’t hesitate to contact us. We have a live talk group to help you online quickly. To know the cost for your shipping to Guinea Bissau you can check the rates on our site or you can basically drop us email specifying the weight and measurement of your bundle or you can additionally ask for us a call back to and we will get back to you quickly. Contact us now for all your transportation needs and delight in our worldwide administration. 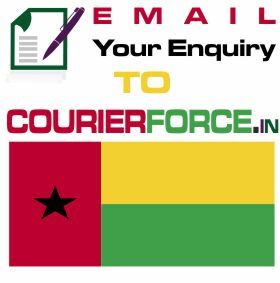 Prices below are door to door courier rates to Guinea Bissau from India. 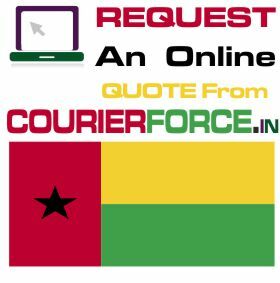 These charges are cheapest in India for sending courier to Guinea Bissau from India. This is by a courier company which is the best in industry for parcel services to Guinea Bissau . 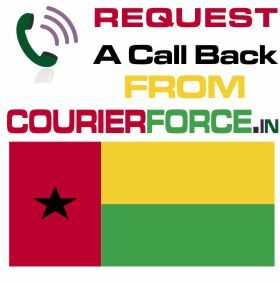 Again, Courier Force is one of the very few companies who have their own network for distributing parcel in Guinea Bissau . It will take anywhere between 3 and 6 working days to deliver your parcel to Guinea Bissau from India. We will be simply collecting the parcel from your business or residence in India and delivering it to your destination address in Guinea Bissau. Duties, taxes and customs charges if any (in Guinea Bissau) will be additional.